The Emperor Wears No Clothes is a non-fiction book written by Jack Herer. Starting in 1973, the story begins when Herer takes the advice of his friend, "Captain" Ed Adair, and begins compiling tidbits of information about the Cannabis plant and its numerous uses, including as hemp and as a drug. After a dozen years of collecting and compiling historical data, Herer first published his work as The Emperor Wears No Clothes, in 1985. The twelfth edition was published in November 2010, and the book continues to be cited in Cannabis rescheduling and re-legalization efforts. 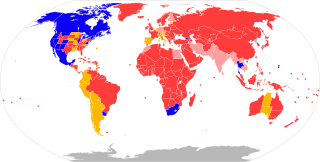 The legality of cannabis for medical and recreational use varies by country, in terms of its possession, distribution, and cultivation, and how it can be consumed and what medical conditions it can be used for. These policies in most countries are regulated by the United Nations Single Convention on Narcotic Drugs that was ratified in 1961, along with the 1971 Convention on Psychotropic Substances and the 1988 Convention against Illicit Traffic in Narcotic Drugs and Psychotropic Substances. Cannabis sativa is an annual herbaceous flowering plant indigenous to eastern Asia but now of cosmopolitan distribution due to widespread cultivation. It has been cultivated throughout recorded history, used as a source of industrial fiber, seed oil, food, recreation, religious and spiritual moods and medicine. Each part of the plant is harvested differently, depending on the purpose of its use. The species was first classified by Carl Linnaeus in 1753. The word "sativa" means things that are cultivated. The High TimesCannabis Cup is the world’s foremost cannabis festival. Founded in 1988 by Steven Hager, the High Times Cannabis Cup is held each November in Amsterdam. The event allows judges from around the world to sample and vote for their favorite marijuana varieties. These judges-at-large decide the Cannabis Cup, best new product, best booth, best glass, best hash and best Nederhash. A team of VIP judges decides which seed company has grown the best indica, sativa and hybrid strain and which company has produced the best Neder hash and best imported hash. The High Times Cannabis Cup also includes live music, educational seminars and an expo for marijuana-related products from cannabis-oriented businesses. He was discharged to another facility on October 13, 2009. Paul Stanford of The Hemp and Cannabis Foundation said "He is waking up and gazing appropriately when someone is talking... but he is not really communicating in any way." On April 15, 2010, he died in Eugene, Oregon from complications related to the September 2009 heart attack. He was 70 years old at the time of his death. Herer was buried at the Eden Memorial Park Cemetery in Mission Hills, California. Hemp for Victory is a black-and-white United States government film made during World War II and released in 1942, explaining the uses of hemp, encouraging farmers to grow as much as possible. During World War II, the Marihuana Tax Act of 1937 was lifted briefly to allow for hemp fiber production to create ropes for the U.S. Navy but after the war hemp reverted to its de facto illegal status. Cannabis flower essential oil, also known as hemp essential oil, is an essential oil obtained by steam distillation from the flowers and upper leaves of the hemp plant Hemp essential oil is distinct from hemp seed oil and hash oil: the former is a vegetable oil that is pressed from the seeds of low-THC varieties of hemp, the latter is a THC-rich extract of dried female hemp flowers (marijuana) or resin (hashish). The legal history of cannabis in the United States pertains to the regulation of cannabis for medical, recreational, and industrial purposes in the United States. Increased restrictions and labeling of cannabis as a poison began in many states from 1906 onward, and outright prohibitions began in the 1920s. By the mid-1930s cannabis was regulated as a drug in every state, including 35 states that adopted the Uniform State Narcotic Drug Act. 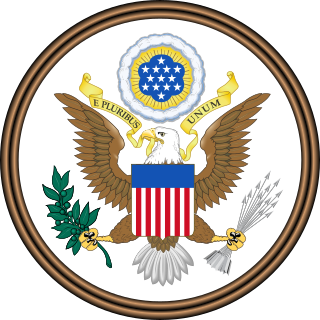 The first national regulation was the Marihuana Tax Act of 1937. Portland's Hempstalk Festival is an annual event in Portland, Oregon advocating decriminalization of marijuana for medicinal, industrial, and recreational use. Founded in 2005, the festival often takes place the weekend after Labor Day and features food vendors, live music, and information booths. The event has always been free to attend. Chris Conrad is an American author, activist, curator, publisher and court-recognized expert in cannabis cultivation and use. 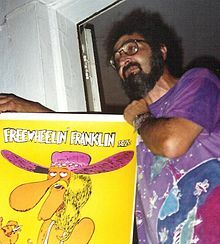 He has played a key role in the shaping of the modern industrial and medical cannabis reform movements as the author of such seminal books as Hemp: Lifeline to the Future (1993) and Hemp for Health (1997), as well as through his activist work as the co-founder and first President of the Hemp Industries Association (HIA), founder of the Business Alliance in Commerce and Hemp (BACH), and a signature gathering coordinator for the Proposition 215 volunteer effort which made California the first US state to legalize the medical use of cannabis. The December, 1999 issue of High Times ranked Conrad #10 on its list of top 25 "living legends in the battle for legal cannabis." Paul Stanford is the founder of The Hemp and Cannabis Foundation (THCF), THCF Medical Clinics, and the Campaign for the Restoration and Regulation of Hemp (CRRH). Kentucky was the greatest producer of hemp in the United States during the 19th and 20th centuries, when it was the source of three fourths of U.S. hemp fiber. 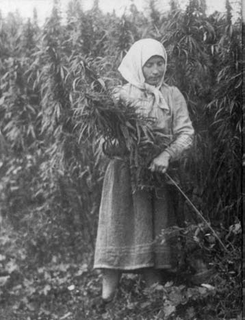 Production started to decline after World War I due to the rise of tobacco as the cash crop in Kentucky and the foreign competition of hemp fibers and finished products. In 1970, federal policies virtually banned the production of industrial hemp during the War on Drugs saying all Cannabis sativa is a Schedule I controlled substance. Federal law under the Agricultural Act of 2014 allowed research back into hemp. Kentucky began production again with 33 acres in 2014. As of 2016 harvest season, only two U.S. states other than Kentucky had over 100 acres (40 ha) in hemp production: Colorado and Tennessee. The first 500-acre commercial crop was planted in Harrison County in 2017, and research permits were issued for over 12,000 acres (4,900 ha) that year. The 2016 documentary Harvesting Liberty concerns the 21st century Kentucky hemp industry. Cannabis in Russia is illegal. Possession of up to 6 grams is an administrative offense, punishable by a fine or detention of 15 days. Possession of larger amounts is a criminal offense. The history of cannabis and its usage by humans dates back to at least the third millennium BCE in written history, and possibly far further back by archaeological evidence. For millennia, the plant has been valued for its use for fiber and rope, as food and medicine, and for its psychoactive properties for religious and recreational use. ↑ "History of the Cup" Archived April 13, 2012, at WebCite , Steven Hager, High Times Cannabis Cup, September 23, 2004. ↑ Saker, Anne (2010-04-15). "Jack Herer, father of marijuana legalization movement, dies at age 70 in Eugene". The Oregonian . Retrieved April 16, 2010. Wikimedia Commons has media related to Jack Herer .